Just the right size for a serious player who wants ample room for equipment and accessories, the Head Tour Team Monstercombi 12 racket bag is a functional and stylish option with 3 main compartments. 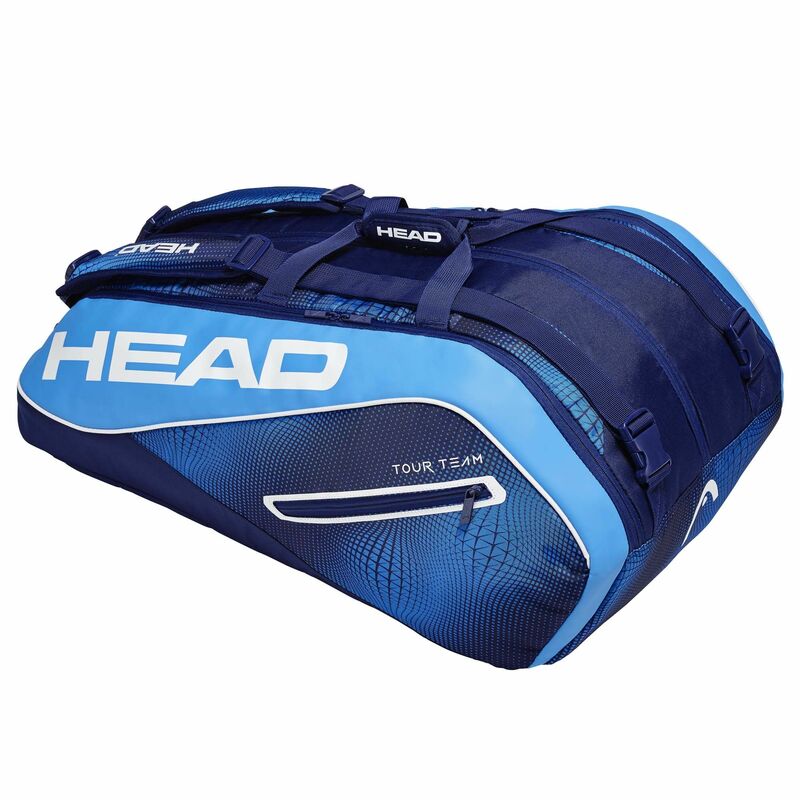 It accommodates up to 12 rackets and uses Climate Control Technology+ (CCT+) in one of the compartments to ensure your gear is protected against the heat. This sturdy bag offers one outside zipped pocket to let you keep accessories within easy reach and has an inside mesh pocket ideal for smaller items. Thanks to an innovative backpack and shoulder carry system and a dual carry handle, the bag provides comfortable transportation to and from the court. 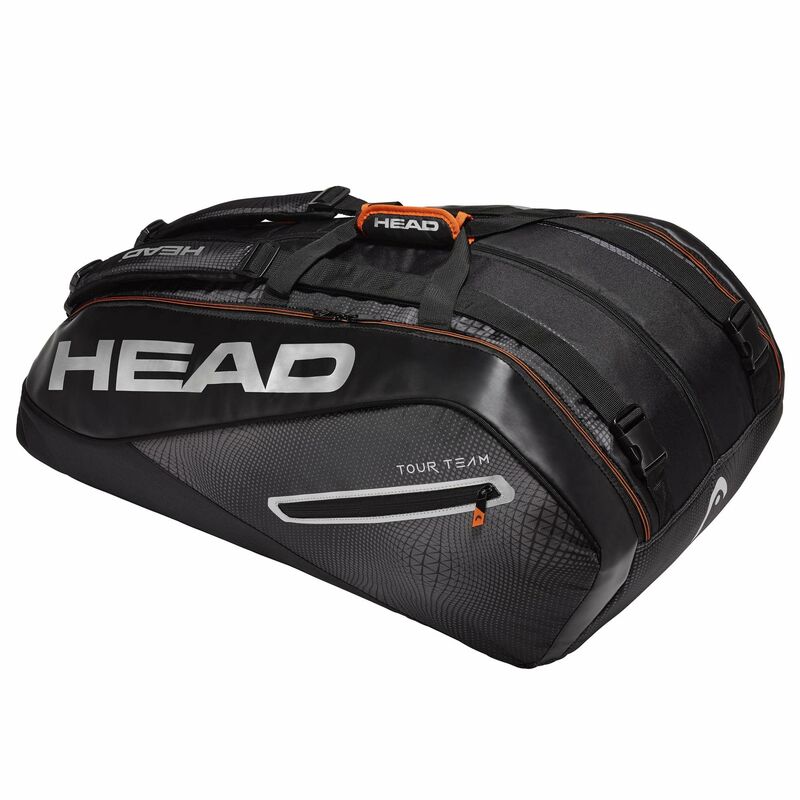 for submitting product information about Head Tour Team Monstercombi 12 Racket Bag We aim to answer all questions within 2-3 days. 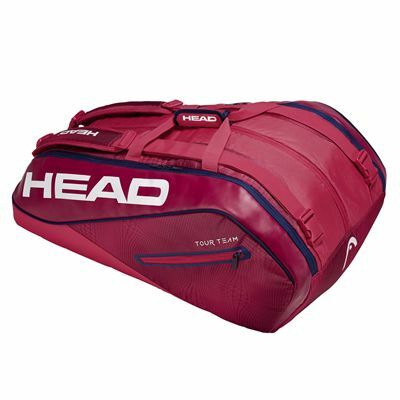 for submitting product information about Head Tour Team Monstercombi 12 Racket Bag. We aim to answer all questions within 2-3 days. If you provided your name and email address, we will email you as soon as the answer is published. for submitting product review about Head Tour Team Monstercombi 12 Racket Bag.